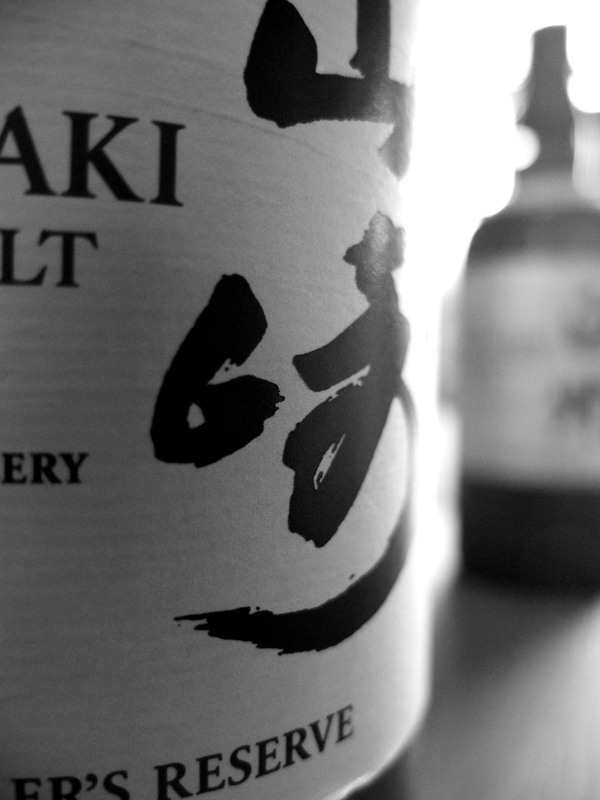 The Yamazaki 15 was the first Japanese whisky that I tasted, and it is a moment that I still remember vividly. It was a delightfully orangery whisky that seemed to trick the tastebuds as the flavours seemed to be in uexpected places unlike the Scottish spirit that I was accustomed too. 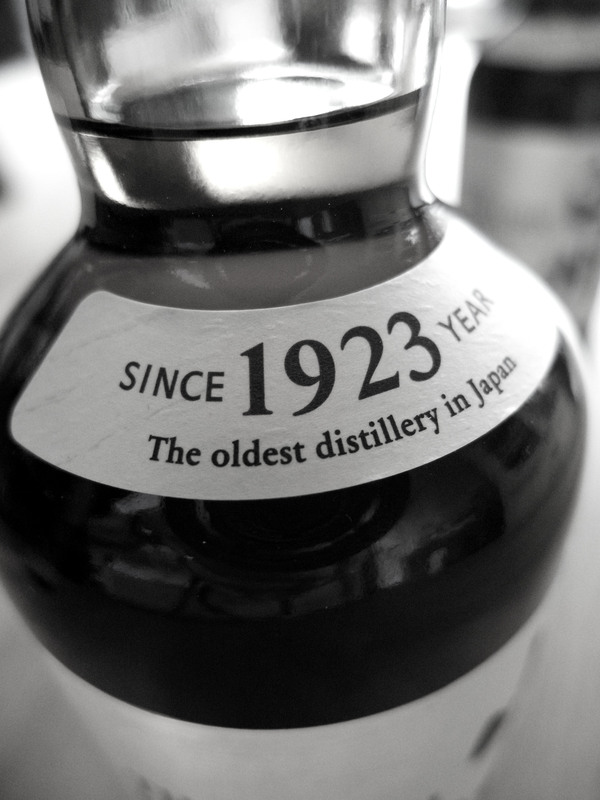 Since then my knowledge and appreciation of Japanese whisky has grown, some of the best tastings I’ve attended have been about Japanese whisky (The Whisky Show 2012), and how could I not mention this Karuizawa from Number One Drinks? Yes – that one! 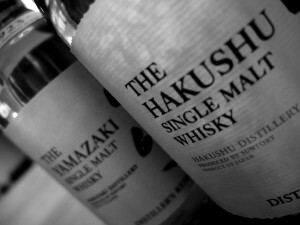 I was excited to note then that Suntory have released two brand new whiskies that have taken them in a different direction – they have removed an age statement and primarily given the focus over to playing with taste, combining whiskies aged fgrom anywhere between 8-20 years, and from a myriad of cask types. The Yamazki Distiller’s Reserve is based around whisky aged for 20 years in a sherry cask and blended with whisky from Mizunara (Japanese oak) , while the Hakushu Distiller’s Reserve is constructed from younger lighlty peated spirit that has been mixed with older heavy peated stock and 18 year old whisky from American Oak to soften the overall influence. Both whiskies are true to the distillery character and therefore very different in profile from each other. Yamazaki Distiller’s Reserve [43%] A magnificent dram from Suntory’s oldest distillery that is sweet and fruity. 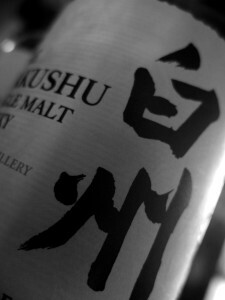 In my view this whisky would make an excellent Old fashioned coctail to enjoy on a warm summer evening. Hakushu Distiller’s Reserve [43%] A brilliant whisky from Suntory’s mountain distillery; it is incredibly fresh and minty and is fabulous for a pre barbecue Highball cocktail. My personal favourite of the two spirits. Nose: Incredibly complex and interesting. A real mix of vegetal and mossy notes that contrast with aniseed balls and guava. It is a very fresh dram with peppermint and mint leaves appearing prominently among the waterieness of cucumber, as they do with a riverside Pimm’s at Henley Regatta. There was very little smoke on the nose – the closest we found was almost that coolness you get on a frosty autumnal morning. With indignation from some quarters about the rise of no age statement whiskies I am delighted to say that any criticism here would be wholly unfair. A lot of time and energy has clearly been spent with the Distiller’s Reserves to create two whiskies that are not only affordable, but that also stand up to the most important thing – taste. I urge you to try these whiskies this summer and prepare yourself to be surprised by not only the spirit, but by it’s versitilty; whether you prefer it neat, or in a coctail, at around £40 a bottle these whiskies will make an excellent additon to your whisky cabinet.